Here's an easy way to start the school year right. 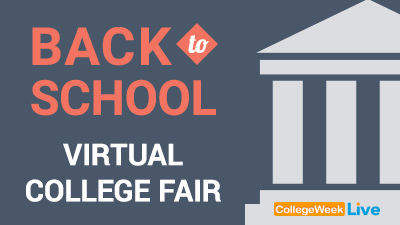 Log in to live chat with admissions reps and students from 100+ colleges. Ask them anything you like about applying to colleges, preparing for college classes, or even what to expect the first days on campus. Whether you're starting your college search or are headed off to college, you'll get a ton of great info at this one-day event.